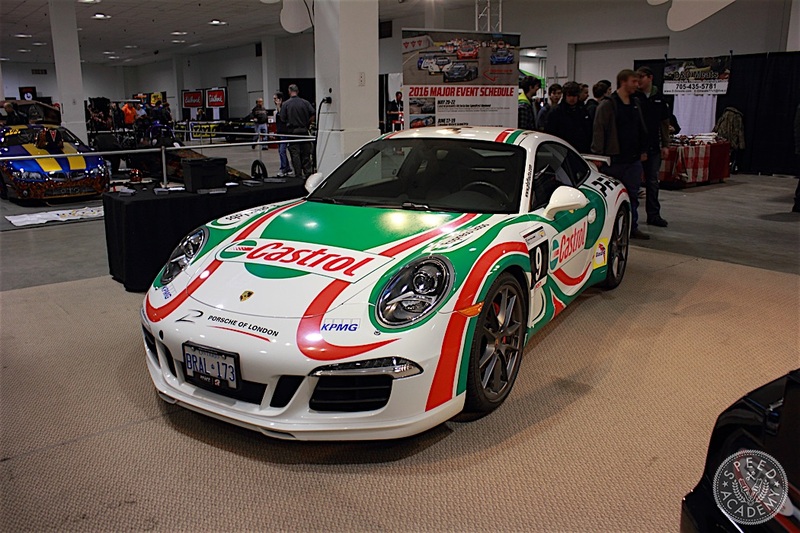 For Canadian car enthusiasts the Motorama Custom Car and Motorsports Expo provides us with the automotive fix we need after hibernating in our igloos. 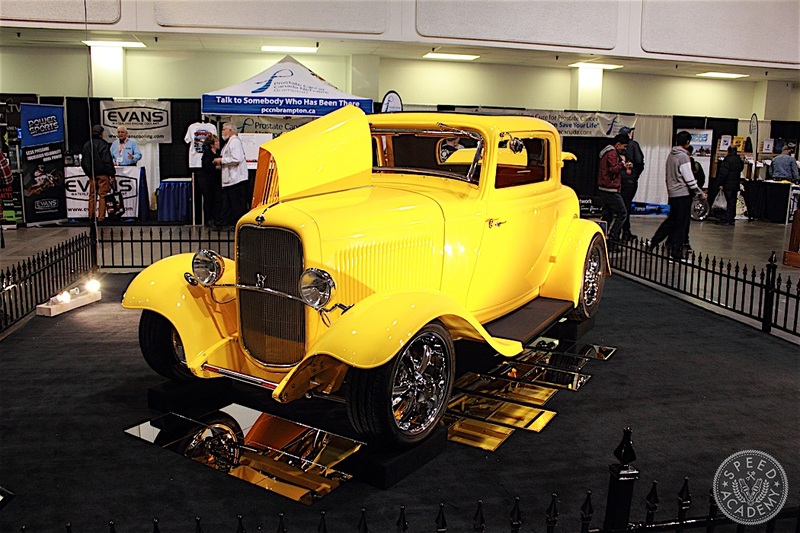 Nothing gets our imagination firing and juices flowing like a convention center stuffed full of awesome builds from every corner of car culture, from full blown race cars to rat rods and everything in between, this show delivers the goods. 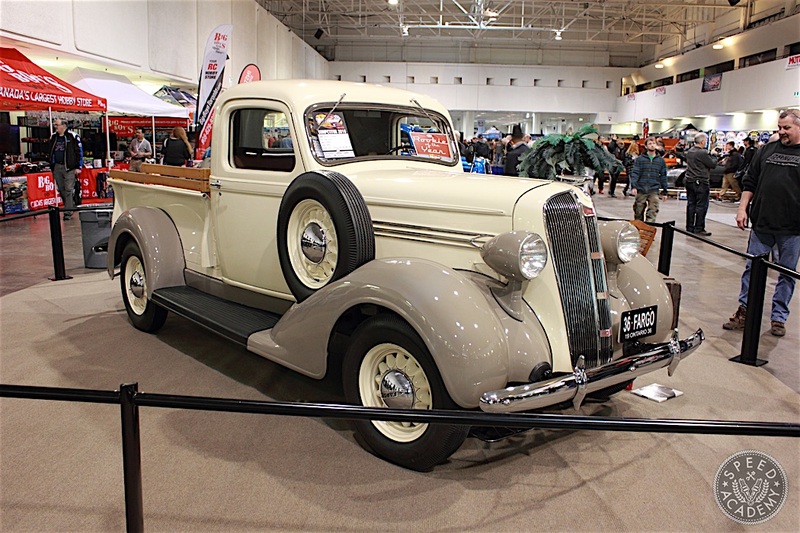 Chris Longhouse’s Ford Model A Coupe greets you as soon as you enter Hall 1 at the International Centre. With it’s 3-inch body chop and 5-inch channel it has that classic low and mean profile. 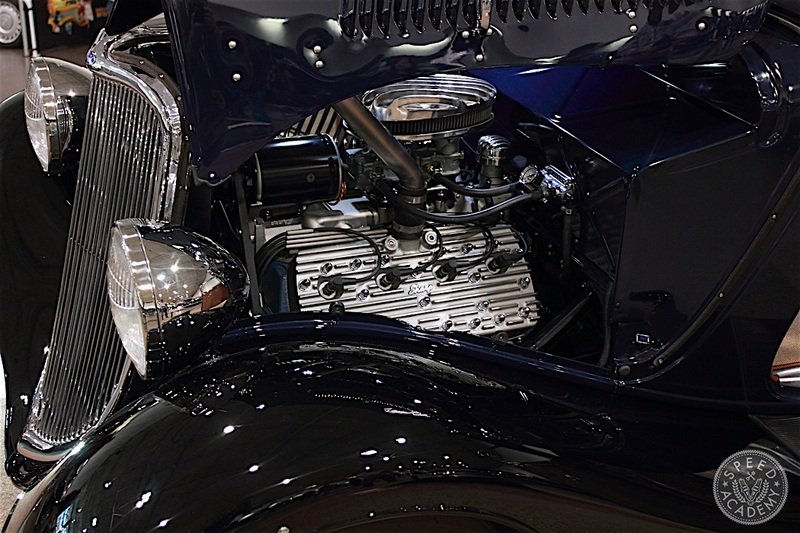 The white walls compliment the beautiful deep blue paint, while Stromberg carburetors atop the Mill ’49 Cadillac block with ’55 heads completes a flawless engine bay. 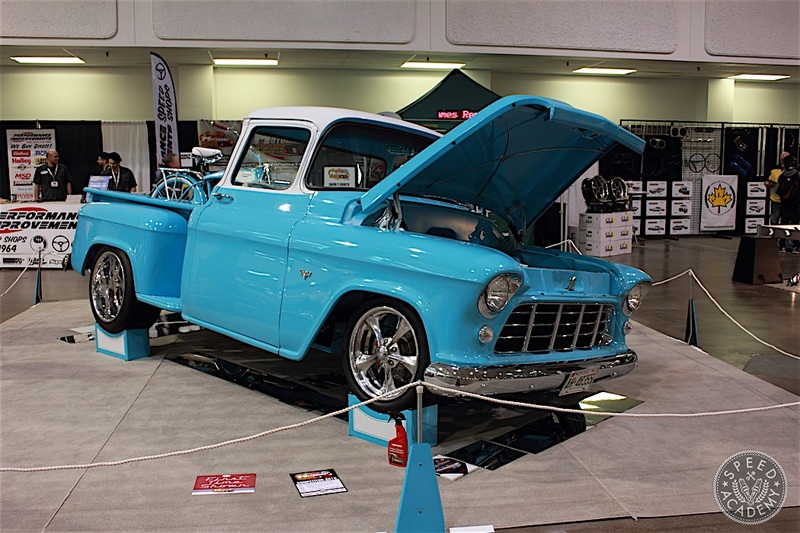 Rick and Shirley Fortin’s beautiful 1955 Chevy pickup is powered with a 350c.u. motor with a 700 R4 transmission. The whole thing sits on a custom frame and Billet Specialties wheels. 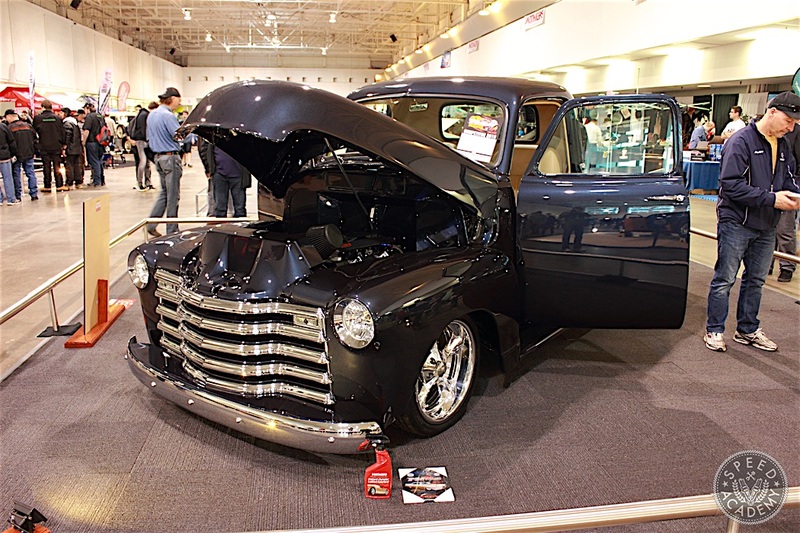 This truck was a sign of things to come, since there turned out to be an impressive selection of incredibly high quality truck builds throughout the show. 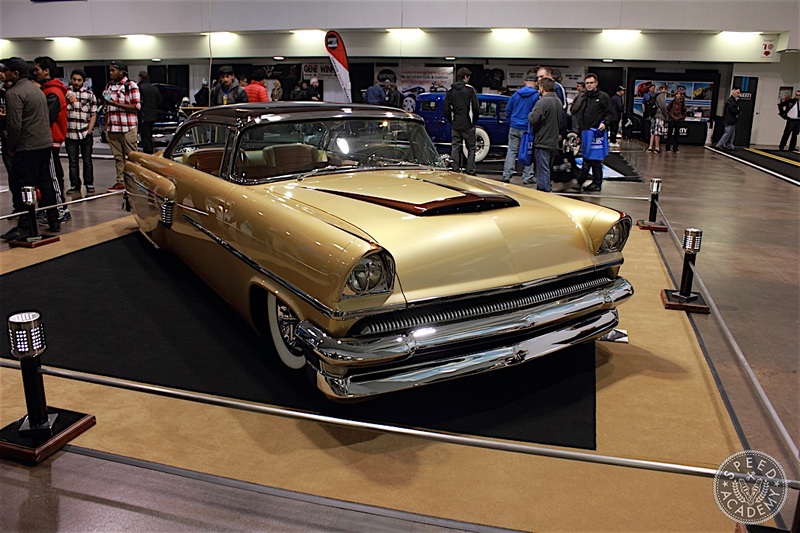 John St. Germaine’s Tri Five Mercury Custom won me over with its color combination and perfect ride height. Just the right amount of chrome, too. Roger Jongerden’s 1970.5 Pro Modified Drag Camaro Z28 was menacing in black. The supercharger and throttle bodies sticking out of the hood looked ready to ingest small children or at least an unsuspecting squirrel or three. 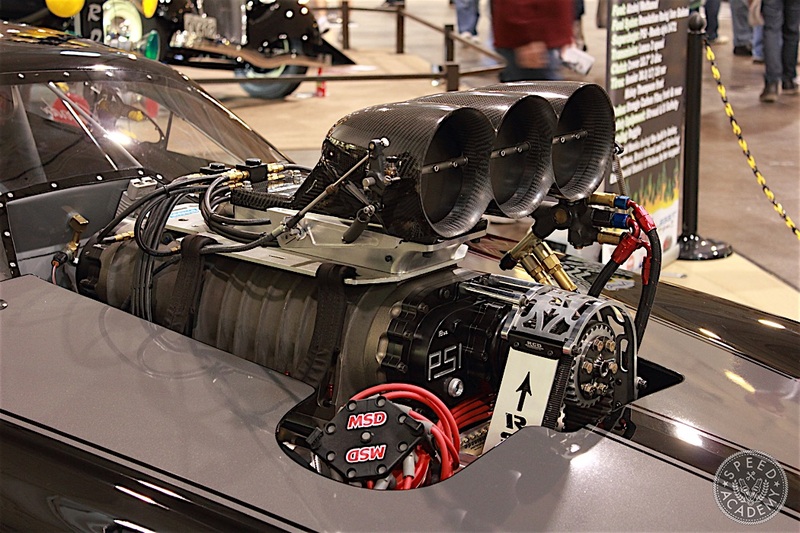 The supercharger sits on top of the alcohol/methanol fed TFX Billet Hemi block that is rated for a mere 3000-hp. Yup, that’ll do! 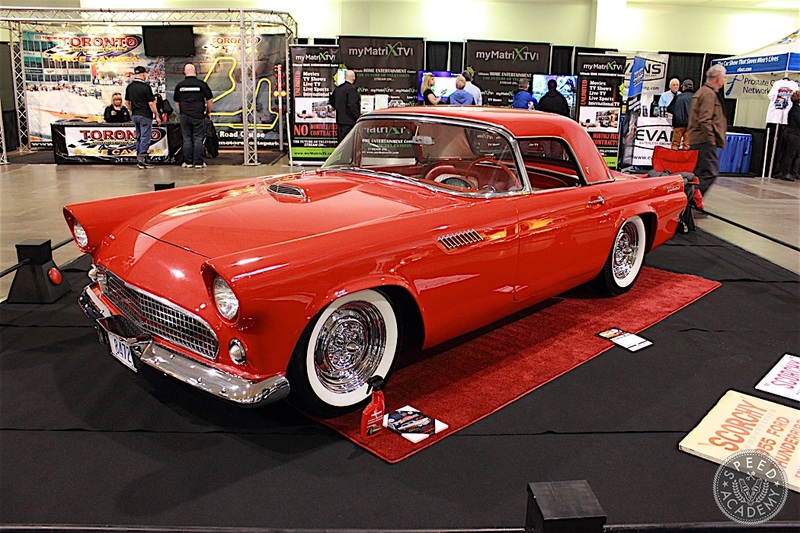 Jamie Hamilton’s 1955 Ford Thunderbird was simply stunning. 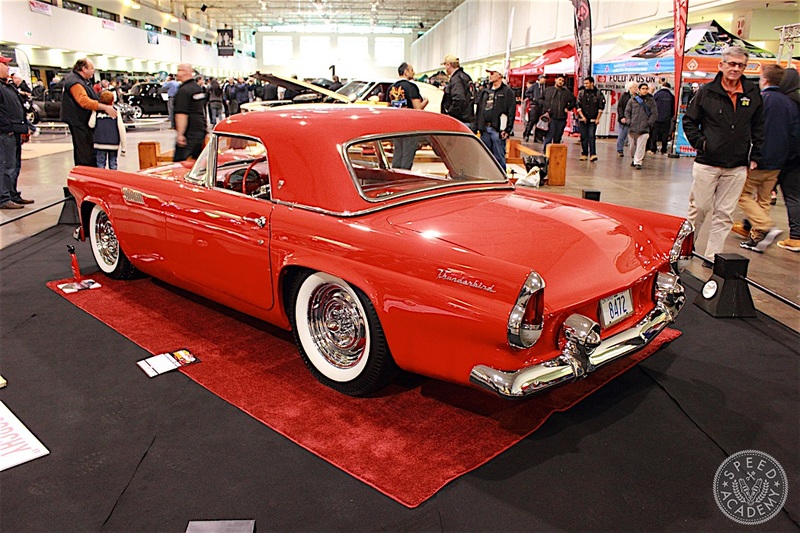 The body has numerous mods such as nosed, decked and custom built front bumper, flared fenders and Mercury tail lights, all of which flowed seamlessly with the Thunderbird’s timeless design. The paint has no fewer than 15 coats of hand rubbed red laquer…my hands hurt just thinking about the time spent getting the paint to this level. 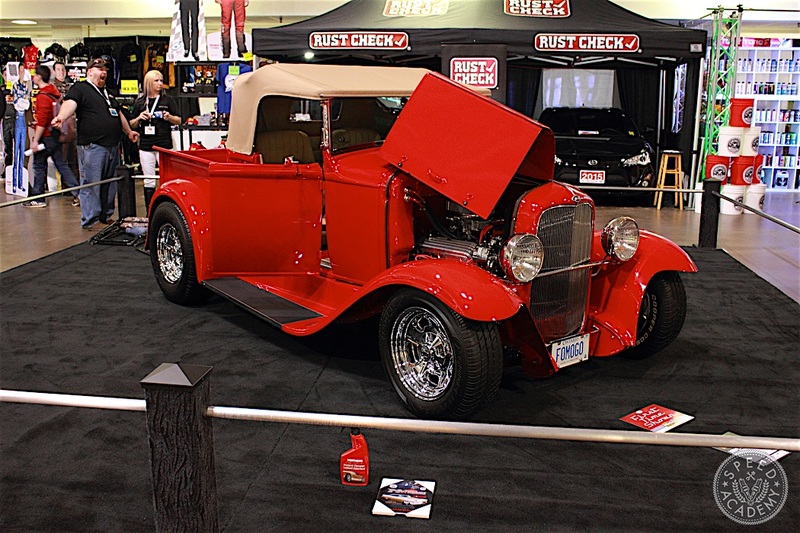 Jason Hickox’s all original 1933 Ford 5 window coupe has the look of a classic restoration, but it does still have some special sauce inside and out. Under the louvered hood a ’40 Ford Flat Head V8 was stroked to 289 c.u. with Sharp aluminum heads and 97 Stromberg carburetors top it all off. 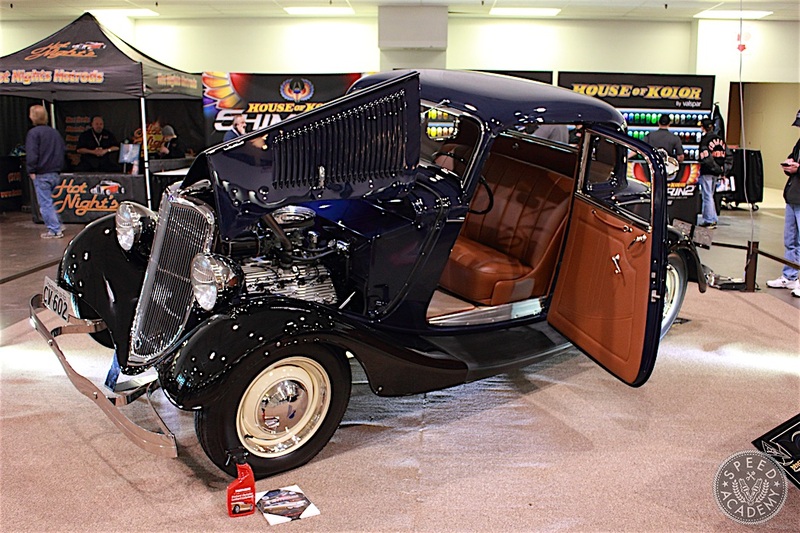 The transmission is a ’39 Ford 3-speed with Lincoln Zephyr gears. 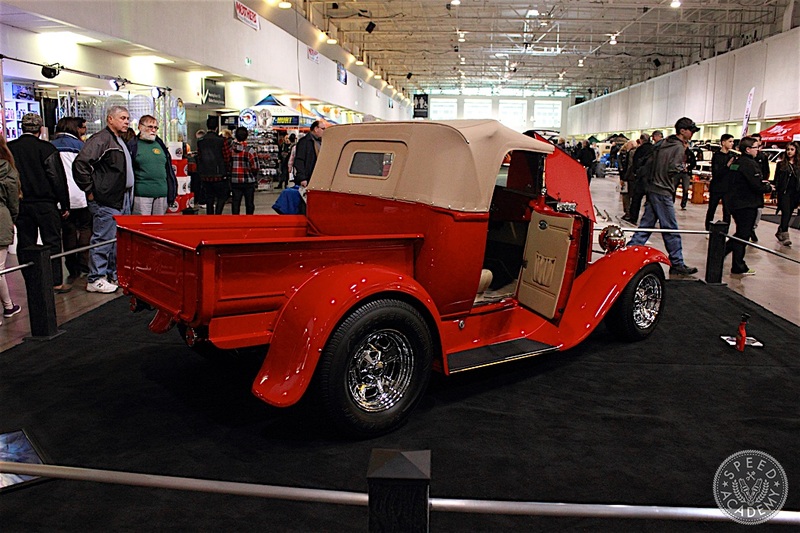 Danny Klacko’s 1936 Fargo pick up truck stayed true with what appeares to be a period correct restoration. The two tone paint really works well with the body. Glenn Hopkin’s 1953 Chevrolet pick-up nick-named “Ole-Blue” made me wish I could build one of these. 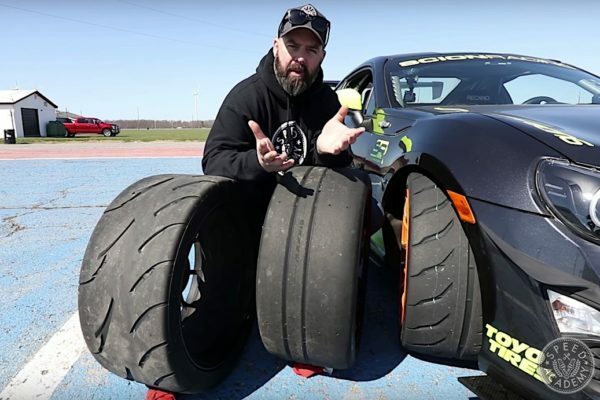 Powered by an LS3 outputting 435-hp supported by a GM 4L65E and a 9-inch Ford rear end with 3.25 gears, this thing has the performance to match the looks. It sits low on Heidts front suspension with triangulated 4-bar with RideTech coilovers in the rear. 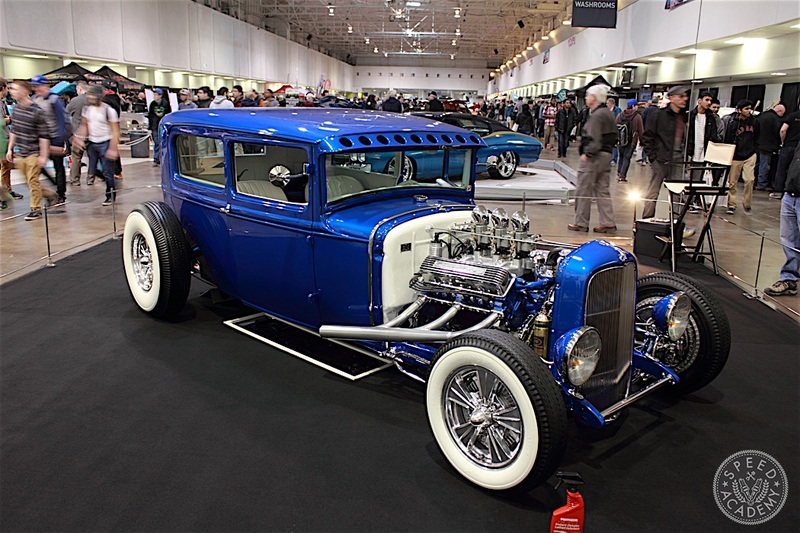 Shawn Fairbairn’s 1930 Ford Model A is a real attention grabber. I have never seen a convertible version and this one was well executed, but I would have loved to see it with the roof down. It’s powered by a Ford 302 roller that was fully rebuilt and balanced. 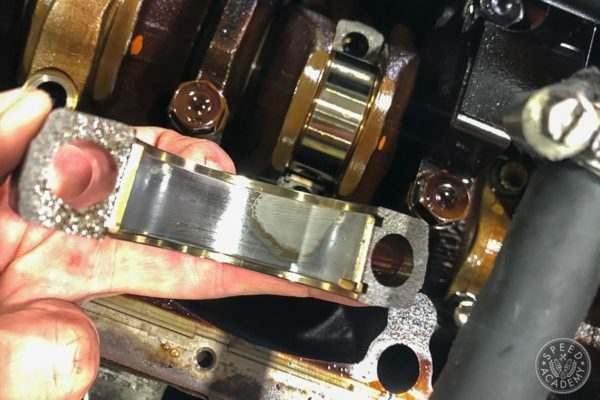 An Edelbrock endurashine Performer 289 intake with Holley 600 carbs allow the engine to breath deep. 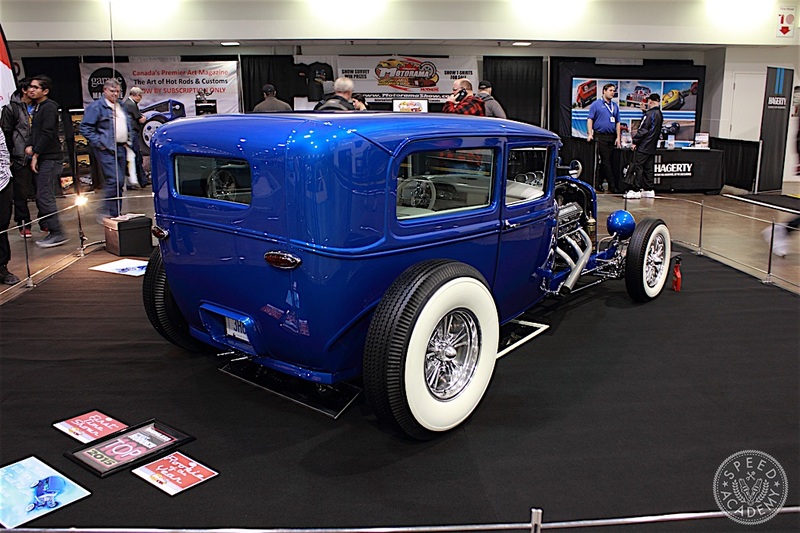 Mike Wise’s beautiful 1932 Ford Coupe features an all steel Brookville body and is powered by a 350 GM crate motor with Fast E.F.I fuel injection. The underbody was as clean as the top and had a lot of chromed components displayed with those mirrors on the ground. 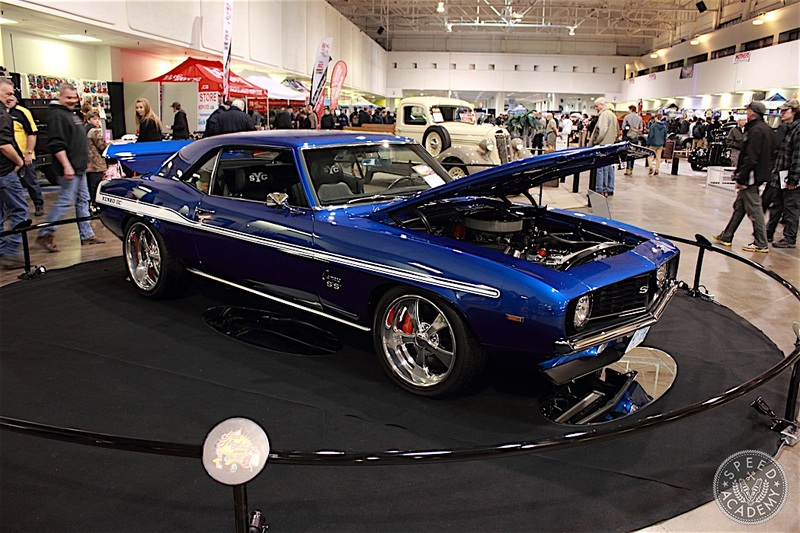 Yvono “Ivan” Vienneau’s 1969 Yenko inspired Camaro was an instant show favourite. Viper blue paint with the Yenko stripes highlighted the car’s muscular lines. 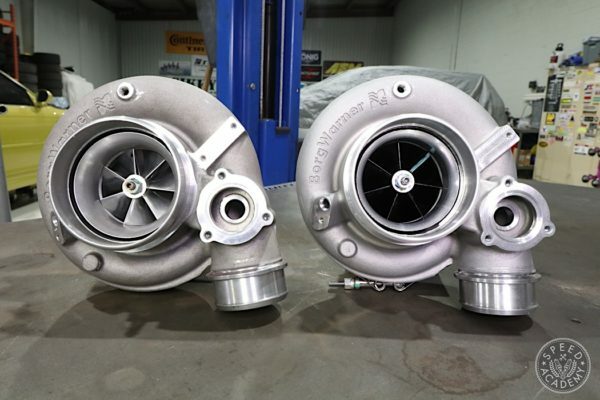 The muscle is provided by a 468 BBC rated at 540-hp that is backed by a Keisler TKO 600 5-speed transmission. 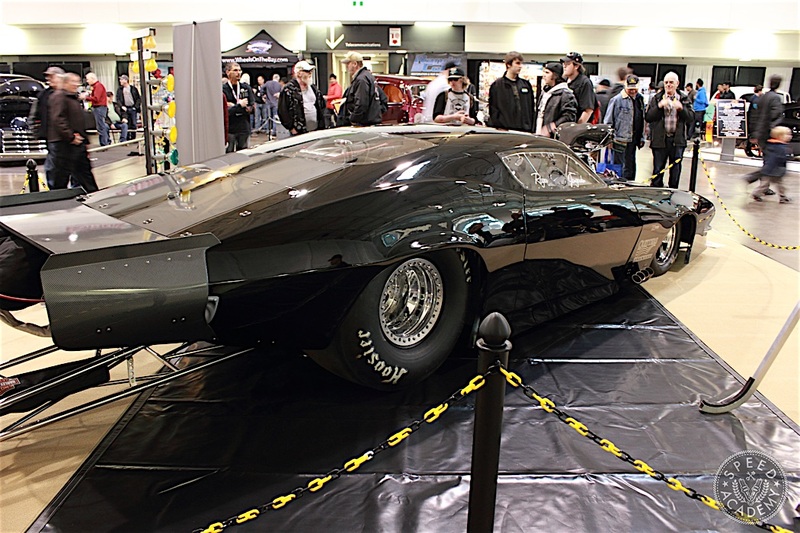 Vince Lubertino’s 1969 Pontiac GTO Pro-touring build also caught my eye. 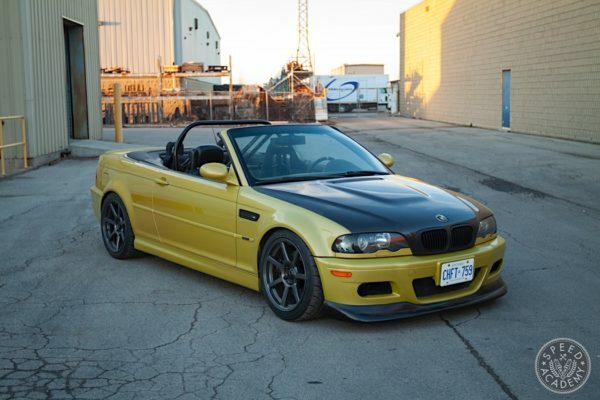 You do not often see convertible Pro-touring builds and his is a great example. 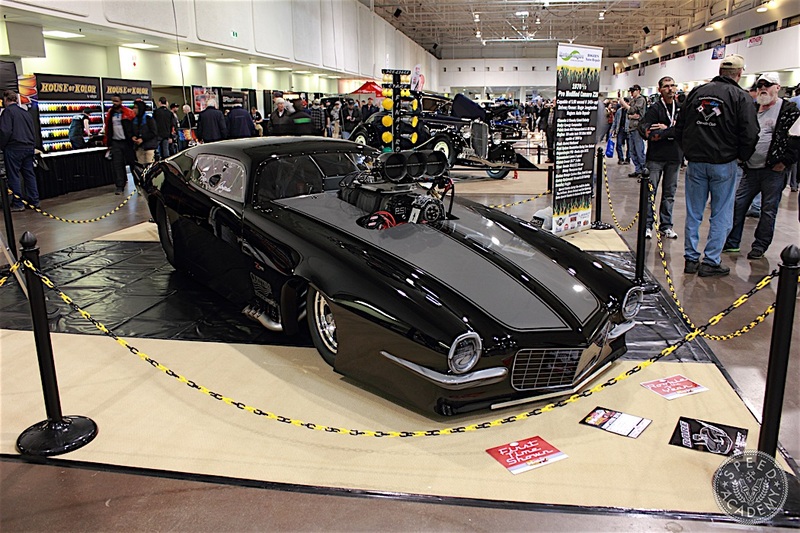 Power is provided by an LS3 crate motor with custom SPI cams backed by a T56 6-speed transmission that puts down 730-hp according to the owner. 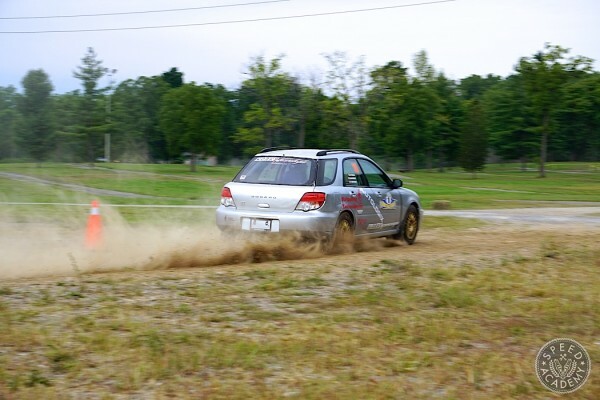 Tucked 20-inch wheels and ride height is possible thanks to Air Ride Technologies air bag suspension systems.